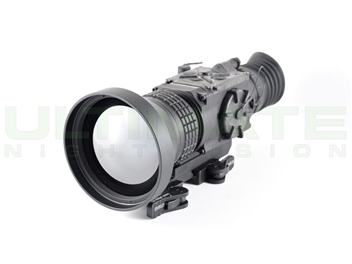 The IR Hunter MK II by IR defense is a revolutionary thermal scope that uses a 12 Micron BAE Micro core and a menu level system in conjunction with turrets to make operation intuitive and fast. The IR Hunter can be set to 30hz or 60hz, has a built in auto-dimmer, image capture, edge detect mode and more. 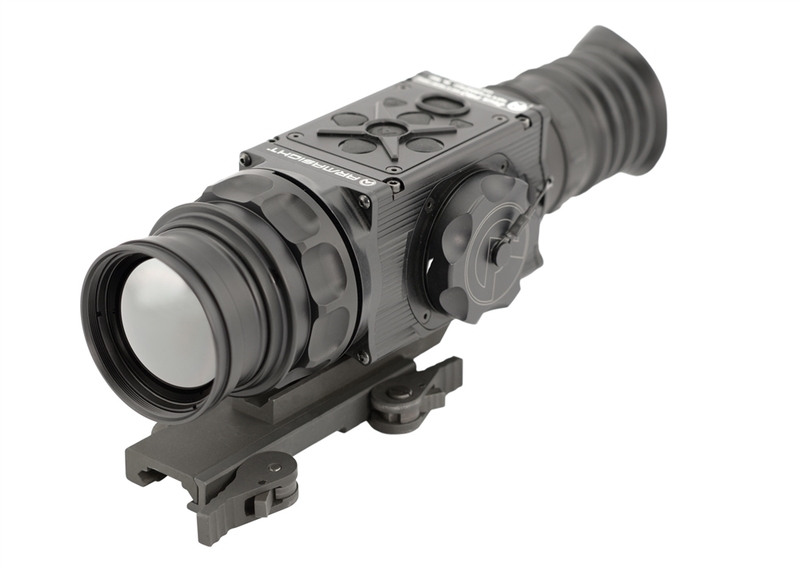 The IR Hunter line of thermal weapon sights are designed and built by an American company comprised of industry experts, shooting enthusiasts, and technicians obsessed with high quality thermal imagery.The MK II is a revolutionary thermal scope that uses a 12 MIcron BAE Micro core and a menu level system in conjunction with turrets to make operation intuitive and fast. The IR Hunter can be set to 30hz or 60hz, has a built in auto-dimmer, image capture, edge detect mode and more. The BAE 12 micron imagery is truly amazing and produces some of the most crisp thermal images every seen on the commercial market. 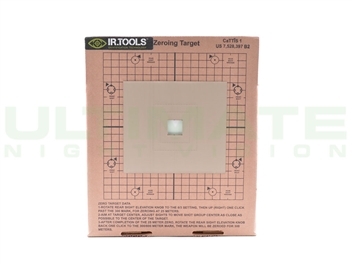 The MK II also has dynamic reticles so they keep proper ballistic calculations on every zoom level. 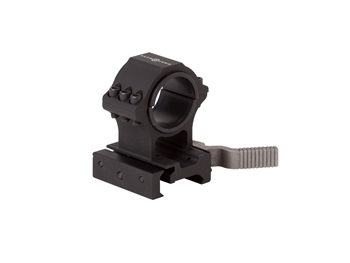 There's even a subtension reticle for ranging and a clip-on mode so you can use the MK II with compatible day optics! If you are interested in recording thermal video for your IR Hunter we have ruggedized custom made video cables designed just for the MK II. We offer IR Hunter rentals to try before you buy and have a variety of IR Hunter MK II videos for pre-purchase evaluation. Average Rating: 5 of 5 Total Reviews: 30 Write a review. The IR Hunter is great. Simple to operate and the clarity is outstanding. 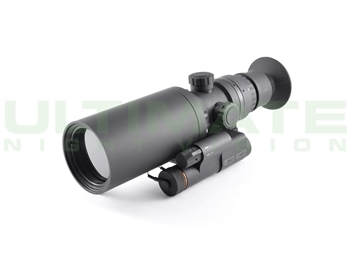 If you are serious about hunting hogs in the dark in the brush this is a great choice. I like the turret adjustment knobs. Easy to operate in the dark. Don't waste your money on cheap optics. I had to get a second one because my sons always want to use mine. I did lots of research and this is the best value for the money. Purchased this thermal from Tyler a few weeks ago, the unit is as good a described in all of the above reviews. After using the IR mkII for more than 20 hrs I decided to add my 2 cents. As the owner of a cow/calf operation in south MS, this product will more than pay for itself in the future. Plus will allow the deer and turkeys on my property, the ability to raise their young with a little less loss due to predation. I can easily see any animal when I enter a pasture, nothing hides with this device. During this time I have taken 2 coyotes off my property, both would have been tough to take out with my old gen 2 NV...no problem for the IR mkII. Some of my time behind the IR has been spent target shooting, placing rounds in the center of an 8" plate at 200 yards is very easy.Tyler was very helpful and extremely knowledgable, I also purchased the external battery pack which is definitely worth the price. 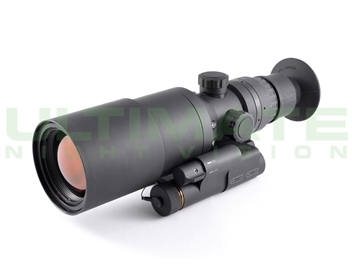 After buying a NV Scope i found it not to be user friendly and visually clear. 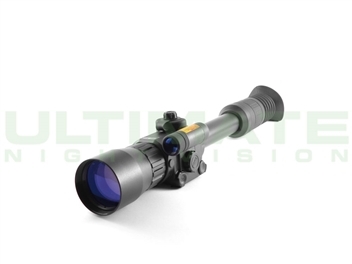 So i visited some forum & reviews of a member who has quite a extensive knowledge on NV/thermal scopes for every occasion . IRHMK2 is everything they advertised and more. The small battery spring loaded cover for two CR123 is difficult to screw/unscrew. A longer lasting battery, without having to purchase an external battery and adding another piece of equipment on the gun would be good. Purchasing a approved external rechargeable battery will solve all those issues. I rate this unit 4 1/2 star for a strong housing, clear display, on screen info. 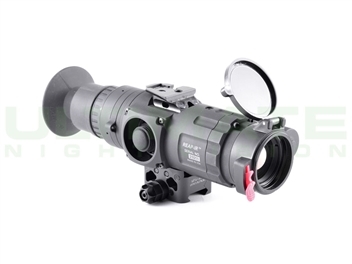 with turret control and a functional and comfortable shuttered eye-guard. After a good bit of research I jumpwd in to thermal afyer wasting my money on cheap nightvision. I am amazing on the detection distance and recognition distance. UNV has put together a comprehensive package that is great. Open the box and 20 minutes later you are zeroed and ready to hunt. Great knowledge base at UNV not a retailer just selling a part. If you are spending the money, buy from UNV as they have the expert knowledge and the package. I will buy from them again!